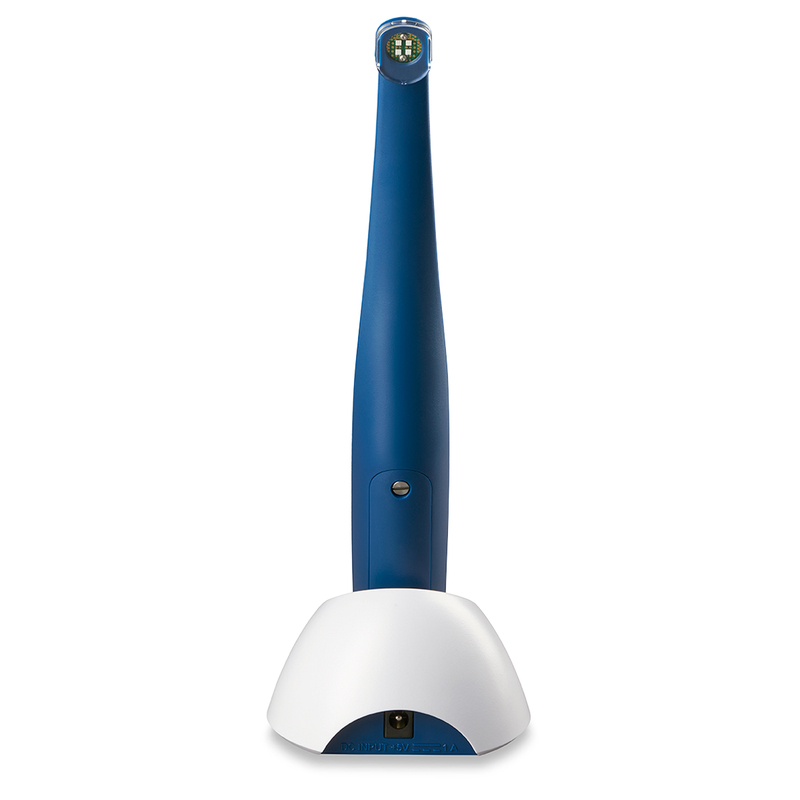 Low-profile head design for easy access in all areas of the oral cavity. High quality LEDs provide intense light that will last. Removable lens for easy replacement. Tacking Lens and an additional Standard Lens come with the light. 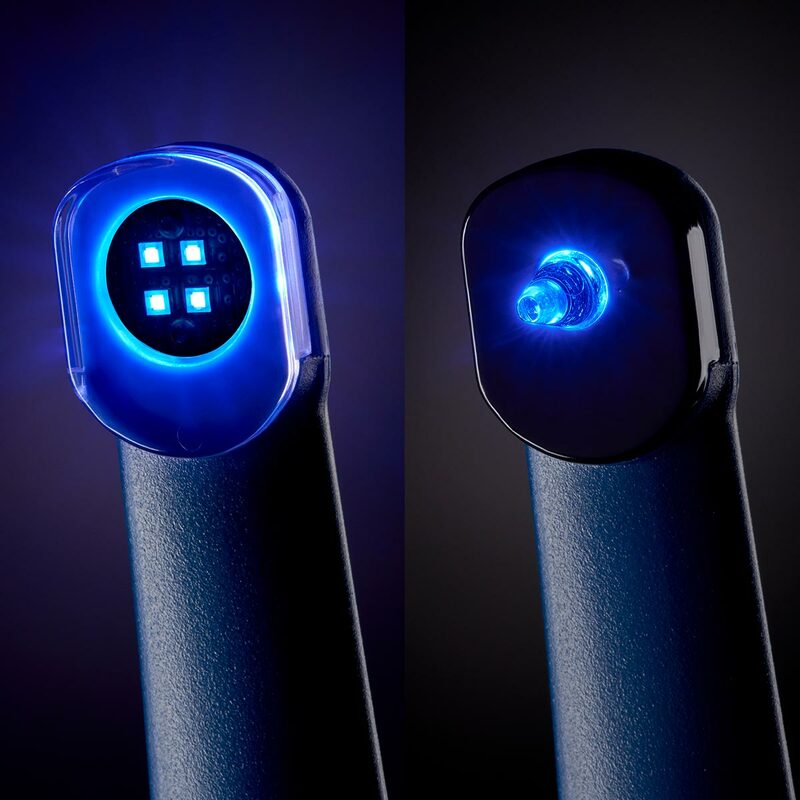 Our new curing light is just one more example of the quality design and workmanship that we’ve been known for in the 70 years Parkell has been in business. 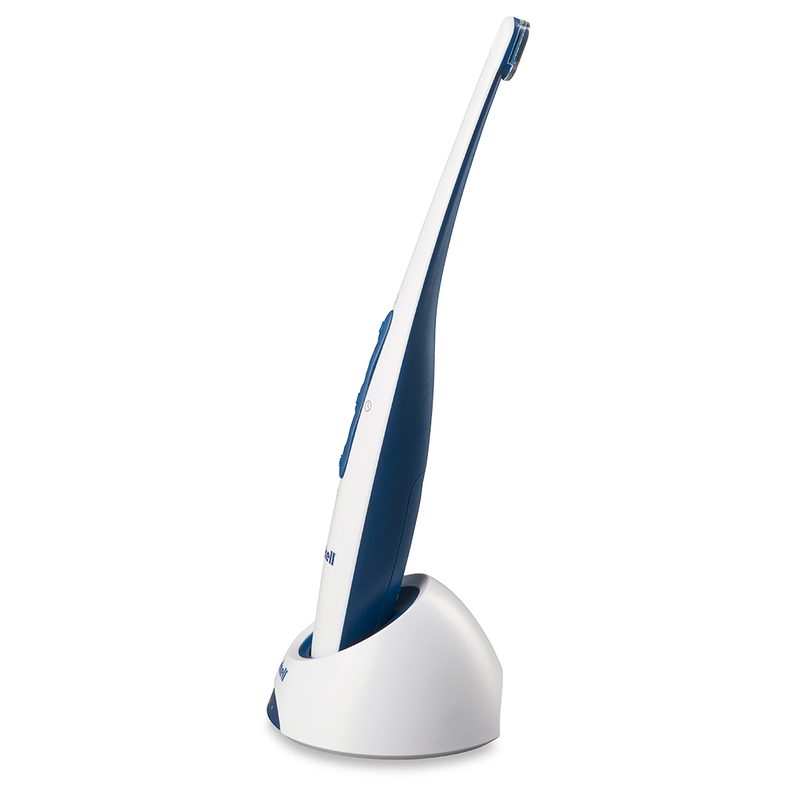 This sleek, new light features a low-profile head, so reaching into the posterior region of the mouth or sliding it into the buccal vestibule is a breeze. 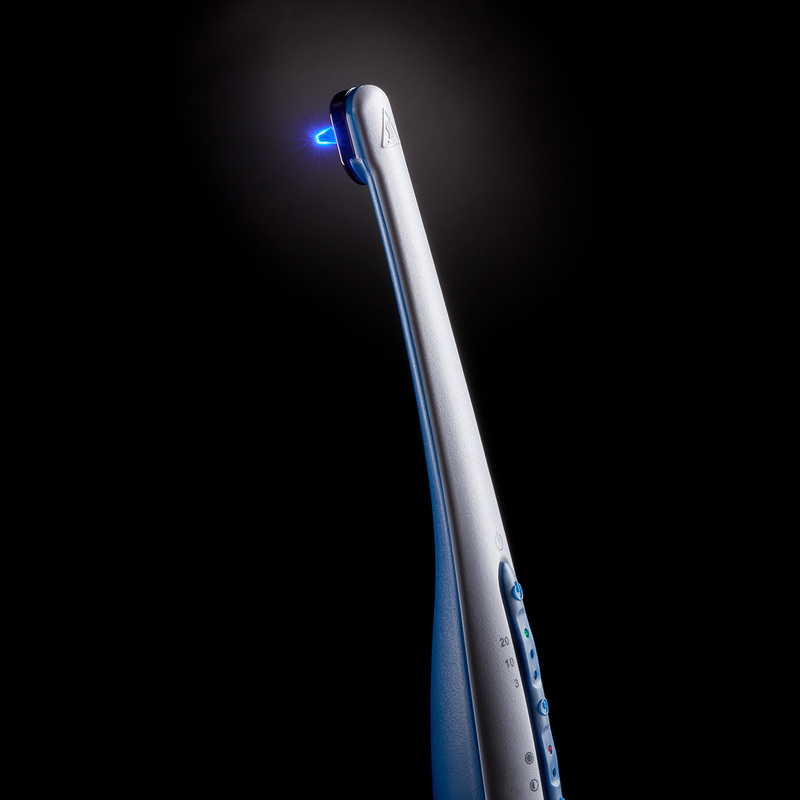 The curing light also allows 3 modes of curing; 3- second tacking, 10-second cure and a 20-second cure. In addition, the light has two user-selectable intensity settings. Choose either 1,000mW/cm2 (ideal for gelling cements or curing sealants) or 2,000mW/cm2 (for curing darker shaded composites, and standard curing). 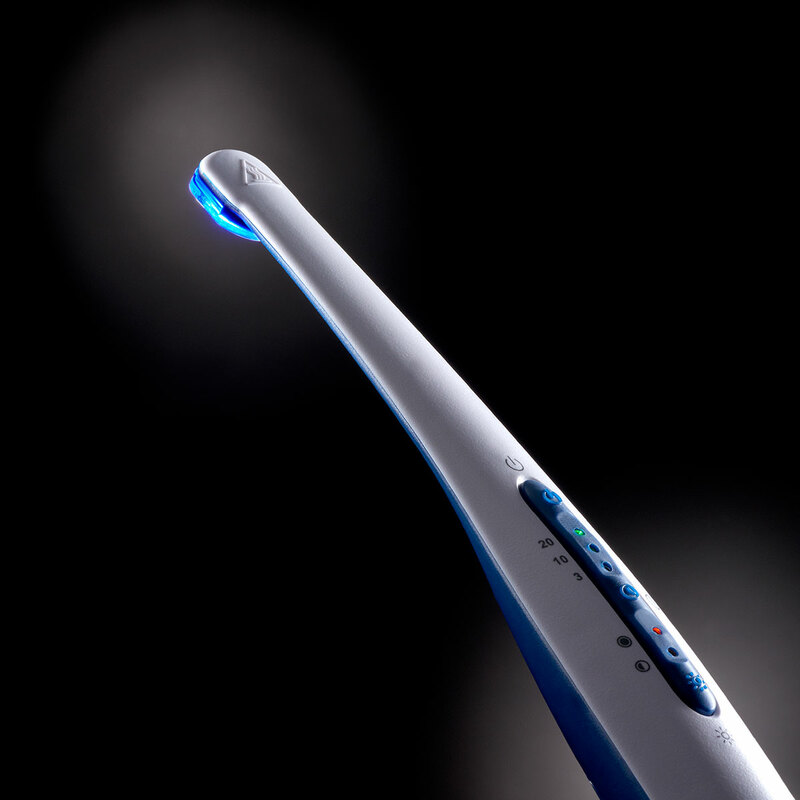 The wavelength range for the Parkell curing light is 420-480nm, the necessary ranges for today’s modern dental materials. The light also features an effective beam spot diameter of 10.7 mm. 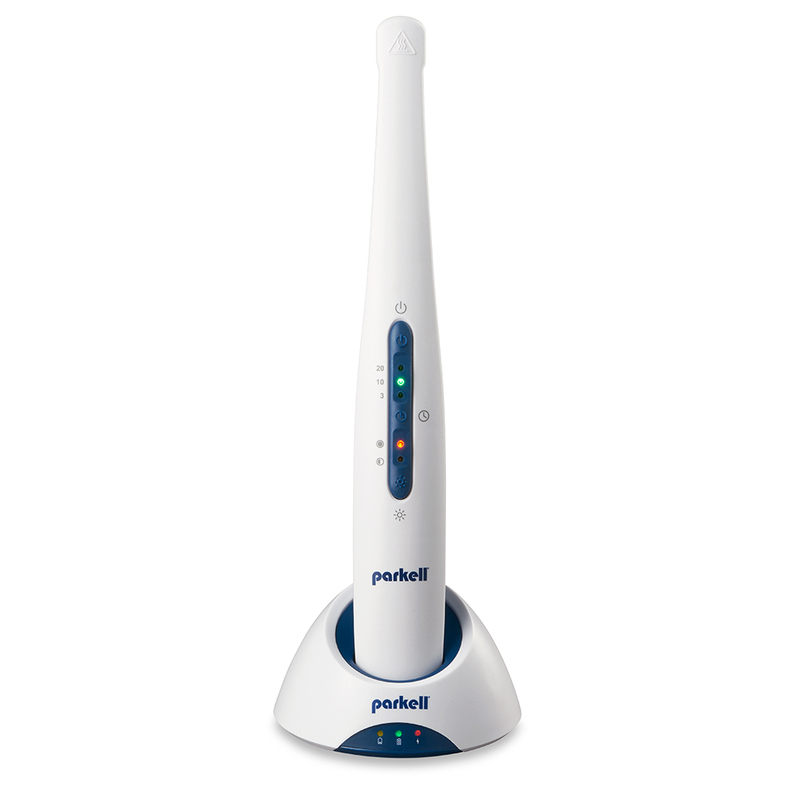 And, true to Parkell, the Curing Light comes with a 45 day trial period and a 2-year warranty.